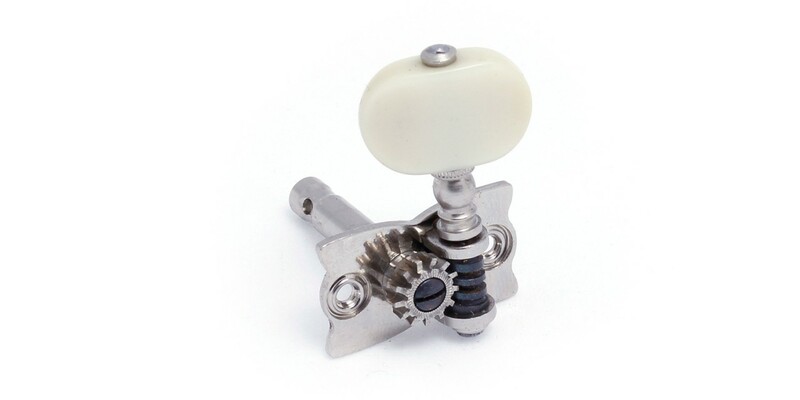 Set (2 left, 2 right) of machine heads for Violin Bass H500/1. Set (2 left, 2 right) of machine heads. Open type. Nickel with pearloid button for H500/1-63, 64 & Club Bass.